From delicate 3mm fingers to bold 19mm joints to exciting new box joint variations, your New INCRA i-BOX is designed to provide the perfect resource for your next joinery task. 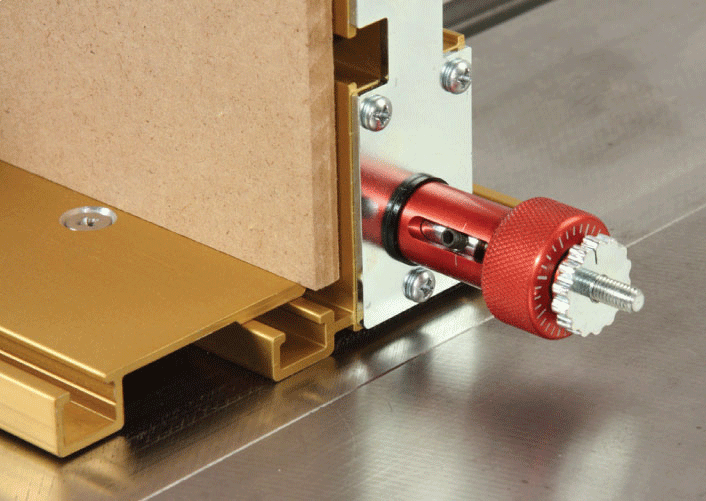 The dual-pitch lead screw driven positioning engine controls both pin width and spacing with a single adjustment knob while INCRA’s GlideLOCK™ adjustable mitre bar provides smooth tracking at either your table saw or router table. 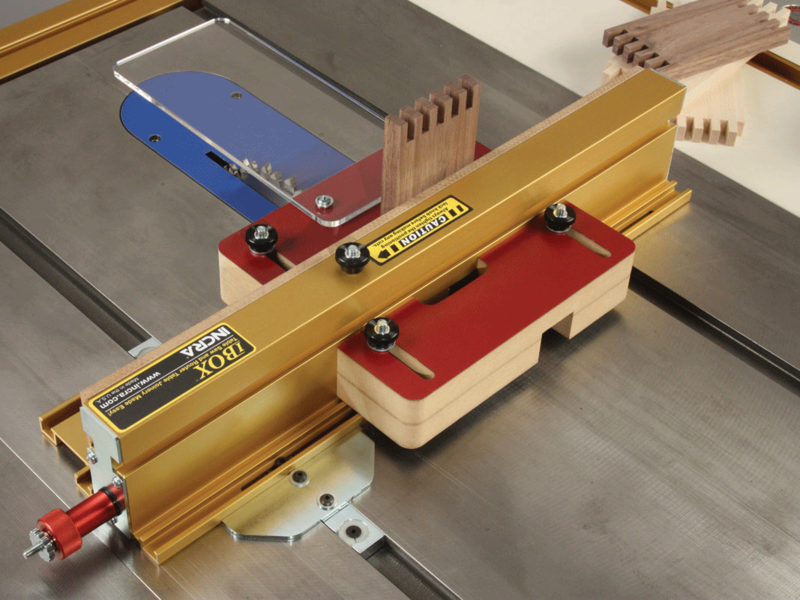 Once set up make a sample cut with your sawblade or Router bit, Metric or Imperial, as youri-BOX automatically adjusts to either dimension types. Then simply locate the cut onpins,then simply turn dialso pins fit snugly in first cut., then proceed to make the cuts on the front and back parts. It’s almost magic the i-BOX dial automatically adjusts the required space and pin width to what ever width of cut you are cutting! 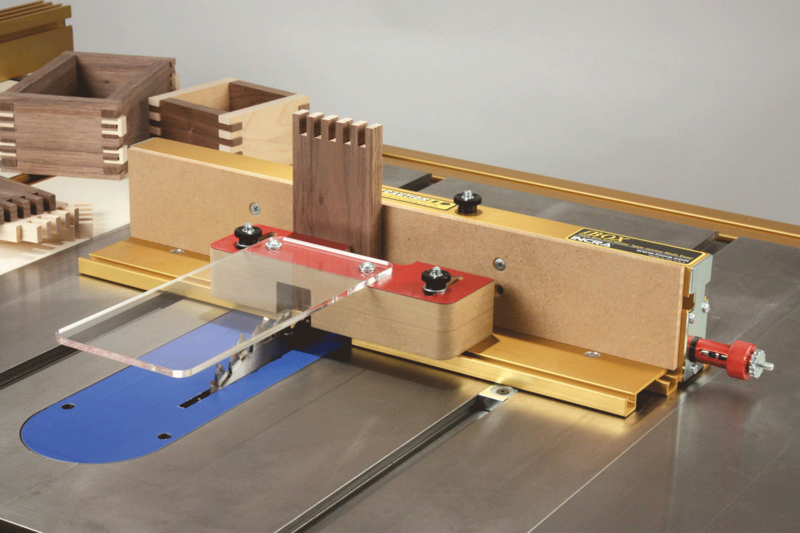 The i-Box is equally at home on your table saw with a dado blade, or on your router table as long as it has a standard 19mm x 10mm Mitre Channel. 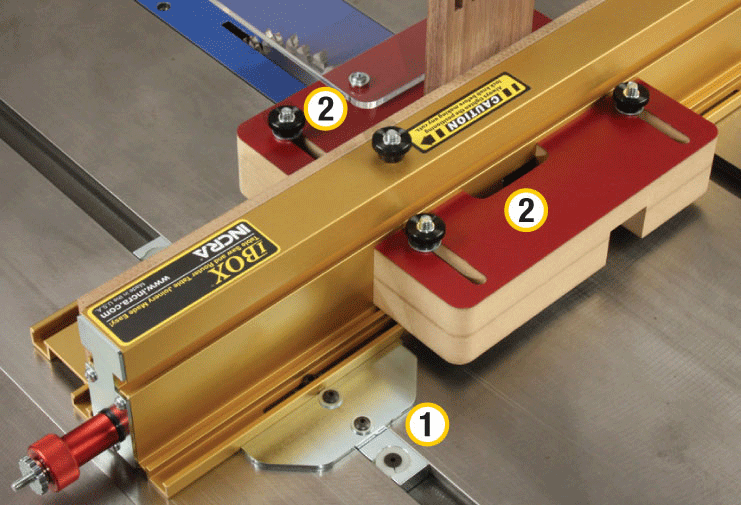 he advantages continue beyond the basics: INCRA i-Box-exclusive box joints like the Centre Keyed Box Joint can be used to produce symmetric patterns on a wider variety of timber widths than traditional jigs, making it easier to adapt box joints to existing project plans. 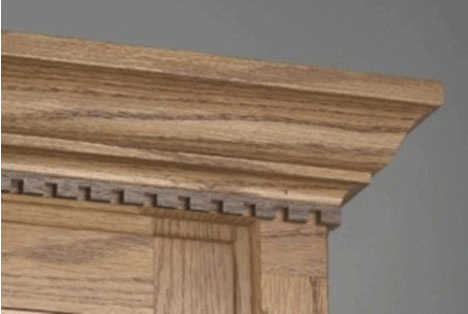 Taking the Centre Keyed joint a step further, the Splined Box Joint is yet another INCRA-only decorative joint that's guaranteed to add wow-factor to your projects. 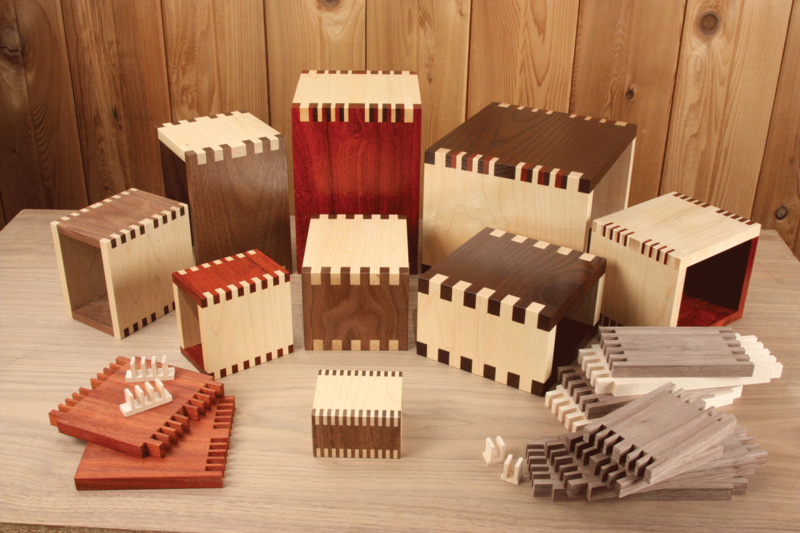 But wait, there's more..... the i-Box can even be used to produce an unlimited variety of classic dentil mouldings! 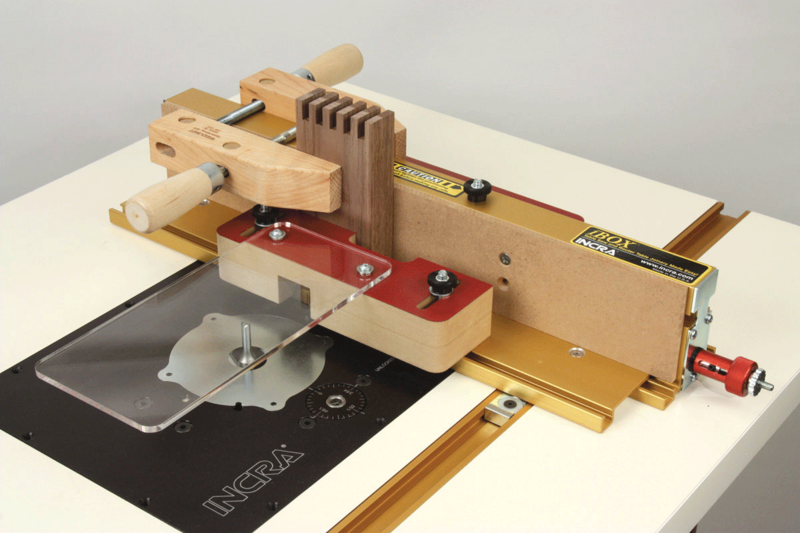 If you've been looking to improve your shop's joinery capabilities with a fast, versatile, and easy to use method for producing box joints of all descriptions, the INCRA IBox is what you've been waiting for. 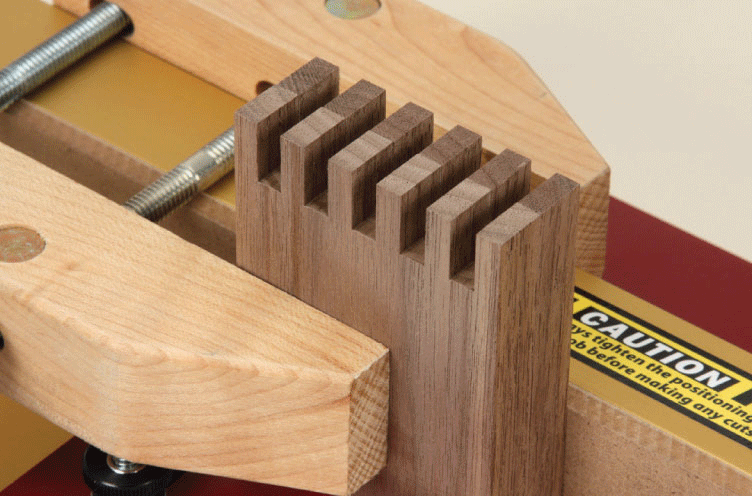 Backed by a detailed instruction manual and a 62minute Instructional DVD, this has everything you need to create great joinery.